It’s that time of year again! We’re excited to announce that the 7th annual Bowling for Buckets will be November 4, from 1:30-4pm, at Cherry Hill Lanes in Clarkston, MI. 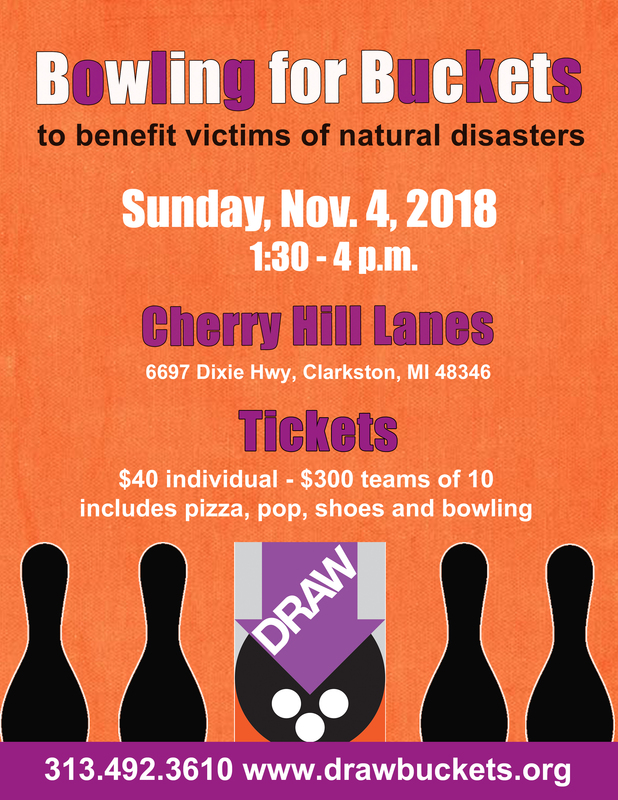 This year’s Bowling for Buckets will be our biggest one yet, and, as always, will go to support the mission of DRAW. Both forms for B4B are here, whether you want to be a participant, a sponsor, or both. Come on out, have a great time, and thanks for supporting our events!